I pound the rempah myself rather than buy from market as the smell of curry powder is rather strong. Athough it is very tedious to make your own rempah but was used to doing it when young. Very often I was given the task of pounding rempah and plucking beansprouts. My mum would make sure that the rempah was pounded till no trace of chilly seeds and skins to be found. Can imagine the sensation of your hands from the splutter of the rempah afterwards. 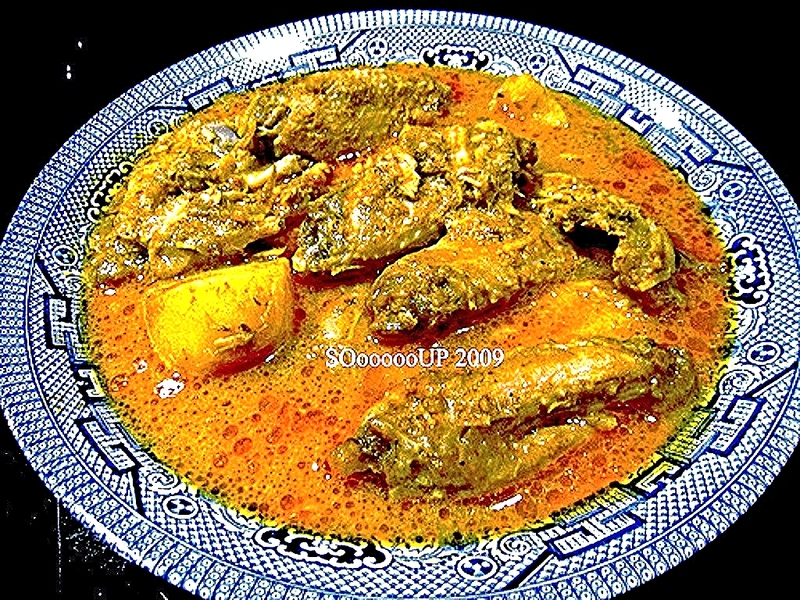 A bowl of aromatic spicy curry accompany rice and baguette gives a hearty meal.